Bill Granger is a well known celebrity chef based in Australia and the UK, lucky for those of us in Sydney he also has two great cafes here simply named Bills. 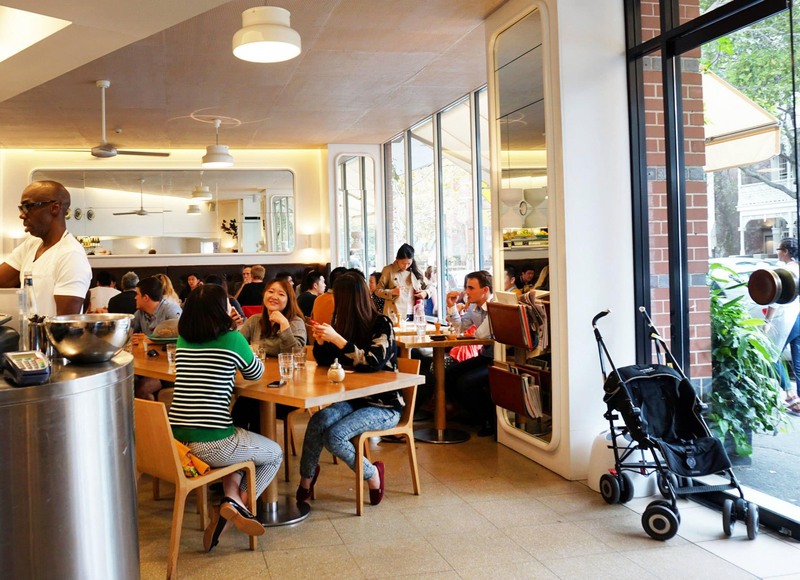 I’ve eyed this cafe for quite a long time now and after a failed attempt at visiting a closed Single Origin Roasters on a Saturday we headed up to the Surry Hills branch of Bills where we were quickly seated after discovering that they don’t take bookings. The first dish to arrive also turned out to be our favourite. In our attempt at being healthy we decided to pick two salads, the poached chicken salad was number one. The first bite I had I tasted the distinctive tang of coconut in the chicken which was a big plus because it actually turned out really tasty. We’re both fans of avocado too so this dish was pretty much heaven on a plate for us and we were fighting over the last few pieces by the end of it. Miss K decided to pick the smoked trout gravalax, I wasn’t able to confirm if it’s trout or salmon (not that there’s much difference) but it was definitely a great piece of raw fish. Miss K really loved this dish mostly because she loves seafood in any form but also because of the other great ingredients including our favourite, capers. 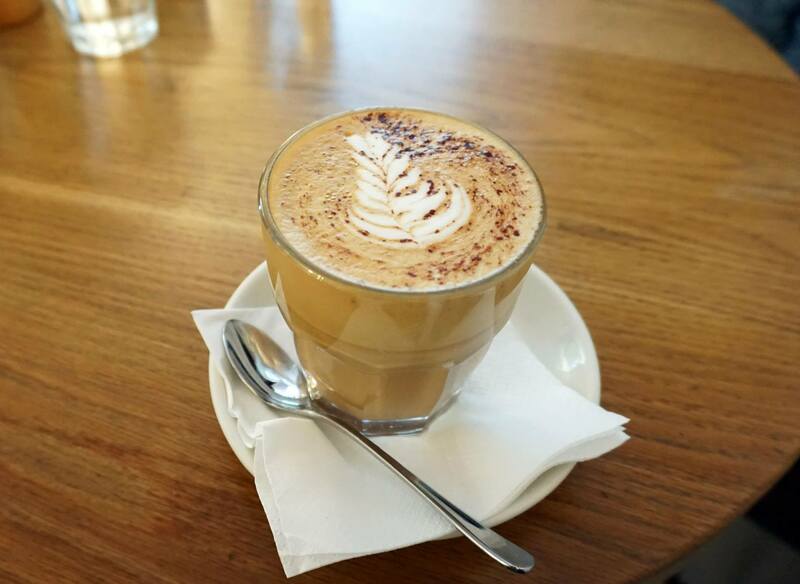 I’ve recently come to terms with my addiction to coffee and I have to say that Single Origin Roasters is probably my favorite coffee in Sydney, it’s one of the few coffees I will happily drink with no sugar whatsoever. I was pretty excited to discover that Bills have a special roast by Single Origin Roasters that they serve up, it’s not quite as good as the original but I definitely rate it as a really good cup (or glass?) of coffee. Bills has a Surry Hills branch and a Darlinghurst branch and both are really casual establishments, walk in only with no bookings taken. The cafes are usually busy but I’ve not seen a really long line like some of the other cafes in the area, I guess having two cafes helps ease the crowds down a little. The menu is a little pricey comapred to other cafes but you get what you pay for and I could certainly see the ingredients were top notch. Everything is freshly made and the dishes are healthy which is probably a big draw factor for the health conscious cafe goers in the area. 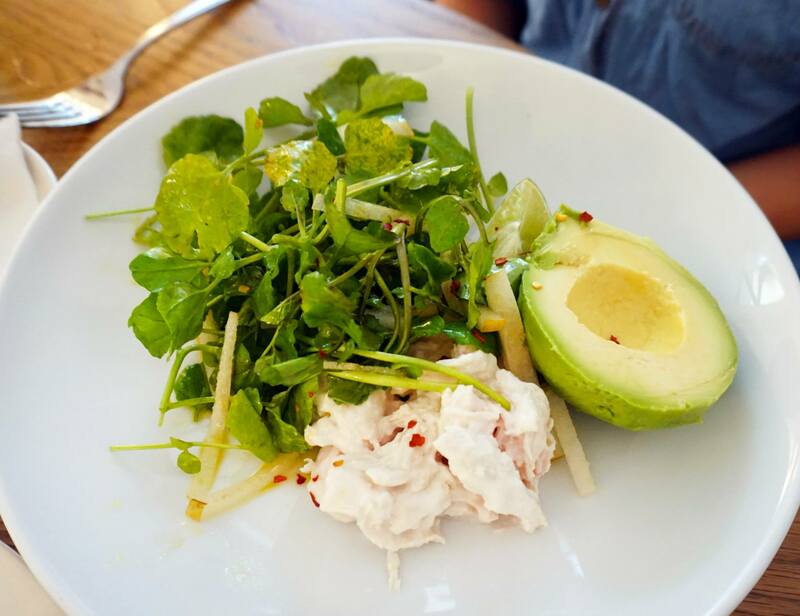 Wasn’t such a fan of the gravlax (it’s trout, btw) but the hot cakes & sweetcorn fritters – that’s what Bills is all about! 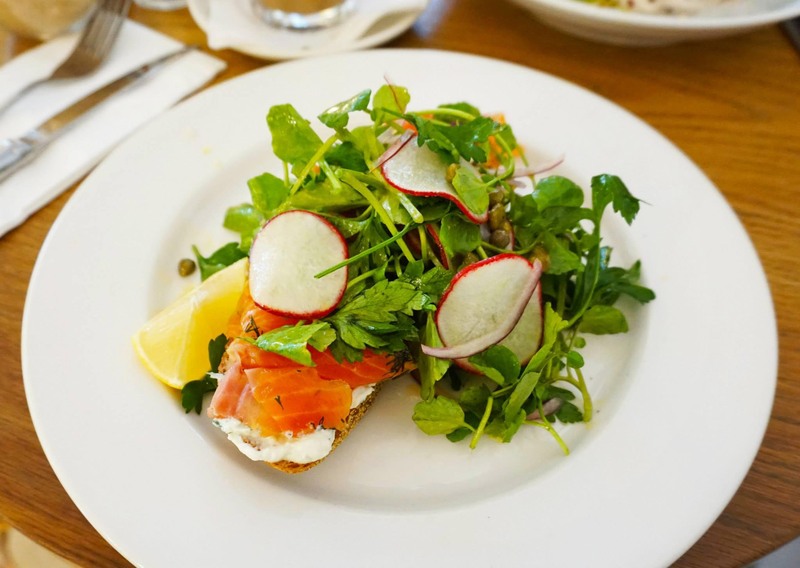 the gravlax looks so bright and vivid! i must admit i can never go past the hotcakes to try something different! Didn’t get to try those – one for next time!